For all those who fear the death of print books, no one can deny that digital publishing is keeping reading alive in an increasingly attention-deficit time. And it’s better to read a few thousand words on your ipad or smart phone between meetings and kids napping, than to lament the ever growing stack of books you’ll never get to. 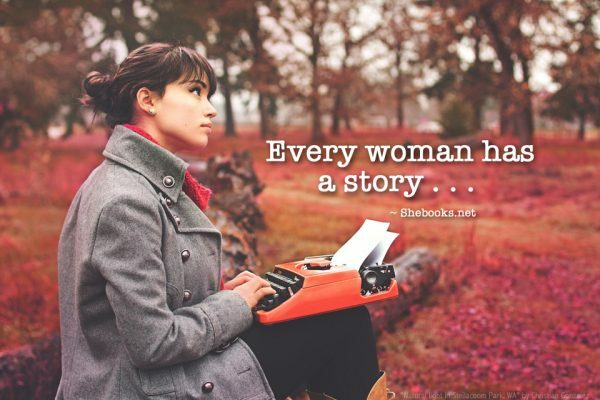 Enter Shebooks, a new publisher of 10,000 word digital books, which has emerged onto the literary landscape as an exciting new opportunity for women writers, and an “ebook boutique” of curated, “quality content” for readers. One grant for women entrepreneurs from the McCormick foundation later, along with the support of Harvard MBA Rachel Greenfield, and a year after that conversation, Shebooks, which has published 48 digital books so far, and launched a monthly subscription service for readers, is clearly thriving. This week they’re in the final leg of a Kickstarter campaign to raise $50,000. She cites a few of their memoirs that excite her. “Runway is a story about a young woman who goes to model in Paris and realizes that she’d really rather go to grad school in English. It’s a fun back-stage view of modeling that totally held my interest for ten thousand words, but I’m not sure if it would have sustained it as a full length memoir. Not only are the books affordably priced individually, but Shebooks has launched a subscription service whereby, for a low monthly fee, readers can download as many books as they like. $4.95 for the first month, $7.95 thereafter. As for Fraser, she takes her coffee like she does her books, without a lot of frills, (and a dash of half and half).